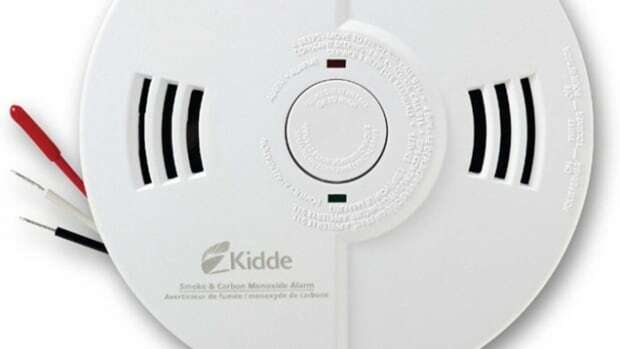 A national recall has been issued for 1.5 million Kidde smoke detector and carbon monoxide alarms in Canada because they may not chirp in the case of an emergency. The issue is the alarm may no longer chirp in the model with battery backup even after the original batteries have been replaced. In the case of the model without battery backup, the chirp may not work if power is removed and then restored. 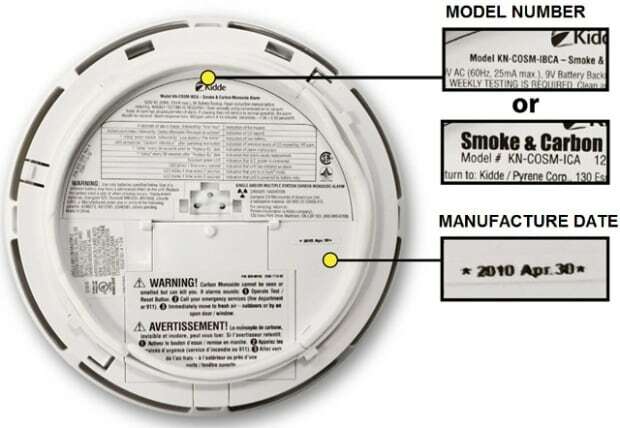 "This could lead consumers to believe it is still working, which poses a risk to consumers not being alerted to a fire or carbon monoxide incident in their home," said the Health Canada recall notice. In Canada, there haven't been any reported incidents, according to Health Canada, but there have been eight in the U.S., where 3.6 million units of the models have been sold. Health Canada did not detail in its recall notice the nature of those incidents, but said there have been no injuries. The alarms are white, round and measure about 13 to 15 centimetres in diameter. The word Kidde is both on the front and back of the devices, while the manufacturing date is on the back and can be thought of as being in the three or four o'clock spot of a traditional clock. People with the recalled alarms should stop using them and can contact Kidde for a free replacement or a discount on a new alarm. Kidde Canada can be contacted at 1-855-239-0490 between 8:00 a.m. and 5:00 p.m. ET Monday to Friday, or through its website. A number of studies have shown there’s a higher risk of road crashes in the first day or two after the spring change to Daylight Saving Time. So when you adjust your clock this Sunday, you should also increase your vigilance on the road. People have trouble getting a good night’s sleep when their body thinks it’s an hour earlier than the clock says it is. If you have trouble falling asleep at night, you may be tempted to sleep in a bit in the morning – and that may lead you to rush to work or school. Any time change is slightly disorienting – it’s like jet lag without the jet. Many people are already chronically fatigued. For the first while, it won’t be as bright in the morning as it has been. In the longer term, studies show crash rates drop during Daylight Saving Time – perhaps because people are doing more of their driving in daylight. Avoid use candles or space heaters to test your smoke detector because it will make the device less sensitive or spoil when a real fire occurs. When you push the test button you are checking the circuits and the battery. There is a product called smoke test. It is a can of fake smoke that doesn't leave a residue in the detector or on the walls. Real smoke works but will leave a residue in the detector. When testing your alarm, use a sturdy ladder instead of climbing on stools or chairs. In many cases, it is possible to check alarms on the ceiling by using a broom stick handle or other long device. This enables you to stay at the floor level while reaching a detector up high. Record the date you installed the detector note the expiration as 10 years from that date. Don't forget to change the batteries in your smoke detector. If your detector runs on batteries, change them when you change your clocks - at the start and end of daylight-saving time. If your smoke detector starts chirping or beeping off and on, it's time to change the batteries. You may want to consider purchasing a combination smoke/carbon monoxide detector. These units cost more but are well worth it. If a smoke detector goes off, immediately respond to leave your home. There is absolutely no time to gather possessions, pets and possibly even each other. Natural Gas grills You can't just run natural gas through a propane barbecue. 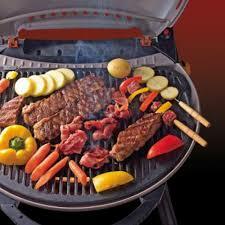 You need a barbecue that is specially made for natural gas. Dry air is a common source of discomfort at home, and can often cause respiratory problems and increased allergy symptoms. Portable humidifiers may help to keep specific rooms adjusted to the right humidity, but a whole home option works best for the entire living space. 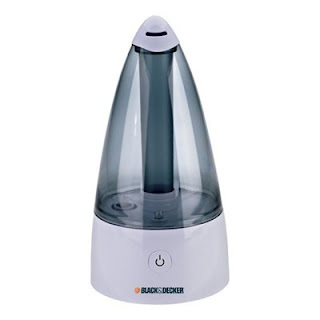 Small, portable units generally need regular cleaning and constant refilling of water – a tedious task that can be avoided with a whole home humidifier (which only needs to be cleaned once or twice a year). In general, a whole home unit is an install-it-and-forget-it item. It’s integrated into the blower system on your furnace, drawing water directly from your water supply. Naturally, potential home-buyers will place value on a property that is equipped with an up-to-date Heating and Air Conditioning (HVAC) system and a whole home humidifier can only increase that value. Additionally, a humidifier will provide the right amount of moisture to prevent damage to wood floors, fixtures and furniture resulting from air that is too dry. 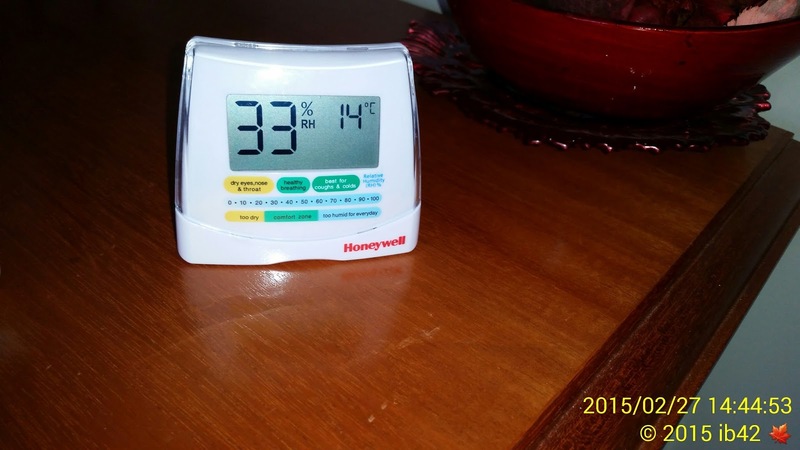 A whole-house unit monitors the humidity level, adding moisture only when it is needed and limiting the level of humidity to the setting you select. Many room units do not have regulators to stop the humidification process when the proper humidity level has been reached. Too much humidity can increase mold, mildew and dust mites. Whole home humidifiers will prevent dry and itchy skin, eyes and nasal passages, thereby increasing your family’s comfort at home. They can also decrease the likelihood of catching viruses that thrive in low-humidity environments, like the flu, colds and other respiratory ailments. Room humidifiers need expensive distilled water to operate at maximum efficiency. A whole home humidifier is integrated into your household water system, so you never need to purchase special water. The initial cost of a whole home unit is a fraction of what most portable units cost, and are very inexpensive to operate year after year. Installing a whole home humidifier will also increase your energy efficiency. Moist air feels warmer than dry air, meaning you can keep your thermostat at a lower level on chilly nights. 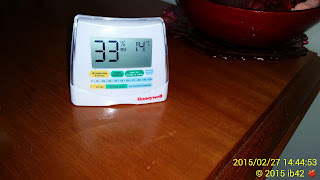 It’s estimated that you could potentially save up to 4% on the heating bill for every degree you lower your thermostat. In addition to these, there are jalousies, which are glass louvers on an aluminum or steel frame. Each type should have a good fit. Check the metal for dents, bends and straightness. Check foam plastic for resiliency, and plastic stripping for brittleness and cracks. Make sure the weatherstripping is securely held in place. Periodically check the shutters’ operation and observe their condition and fit. Shutters close to the ground can be examined from the ground. Shutters out of reach from the ground should be examined from inside the house. Basements and every sleeping room should have at least one operable emergency escape and rescue opening that opens directly onto a public street, public alley, yard or court. This standard is required because many deaths and injuries happen when occupants are asleep at the time of a house fire and the normal means of escape (through doors) are typically blocked. From Monthly Newsletter - Copyright © 2015 InterNACHI, All rights reserved. Inspected by 42 Home Inspections and Ottawa Snow Bird Home Watch. Call Barry at 613 799 3698 to make an appointment today - online prices - references available. Look for signs of and monitor water leakage from the roof above and try to locate the source. This may be difficult to do beneath built-up roofs or loosely laid and mechanically fastened single-ply roofs, since water may travel horizontally between layers of roofing materials. Signs of inadequate ventilation are rusting nails (in roof sheathing, soffits, and drywall ceilings), wet or rotted roof sheathing, and excessive heat buildup. 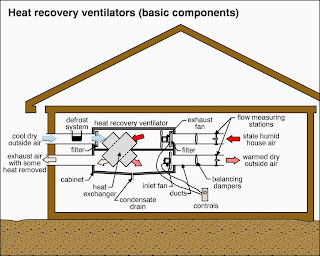 Adequate attic ventilation can be measured by calculating the ratio of the free area of all vents to the floor area. The free area of vents is defined as their clear, open area. 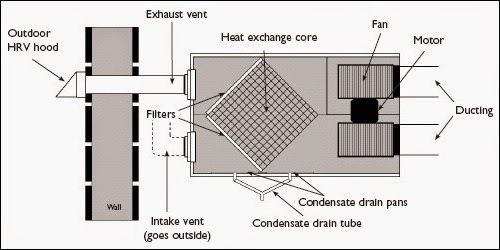 If a vent has an insect screen, its free area is reduced by half. 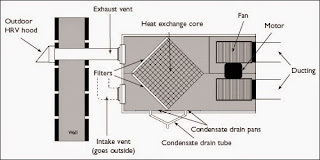 The free vent area-to-floor area ratio should be 1 to 150. If the calculated ratio is less, consider adding ventilation, especially if you’re in a hot and humid climate. Make sure ventilation openings are clear of dirt and debris. At larger ventilation openings on a building’s exterior and where louvered grilles are used, such as at gables, check for the presence of 1-½-inch-square 14- or 16-gauge aluminum mesh bird screen. If there is none or it is in poor condition, consider having new bird screen installed. All plumbing stacks should continue through the roof and should not terminate in the attic. The stack pipes should not be loose, broken or damaged. Exhaust ducts should not be kinked, broken or damaged. They should not terminate in the attic but should continue through the roof, gable or wall. 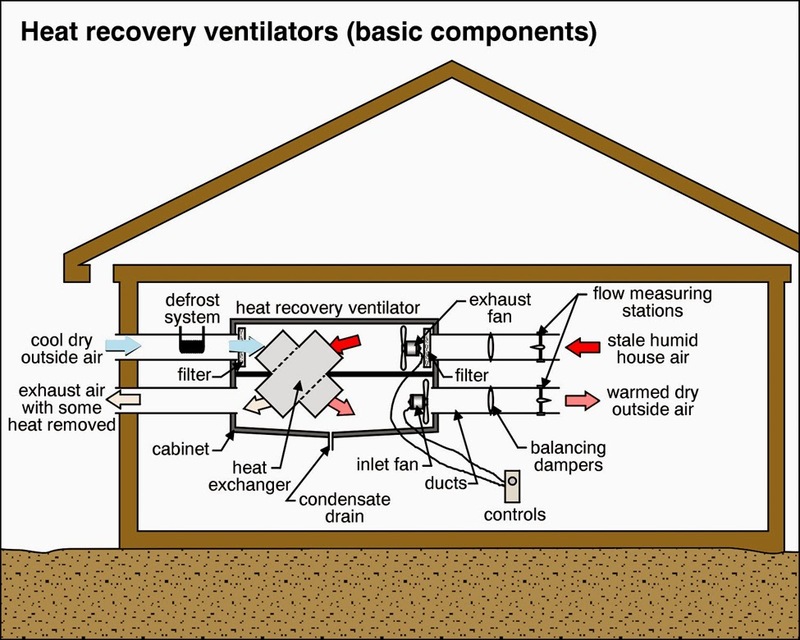 Your heat recovery ventilator (HRV) can help make keep your house a clean, healthy living environment, while keeping fuel bills down. But your HRV can't do all this without your help in keeping it well maintained. Check to see if your HRV has a condensate drain—a pipe or plastic tube coming out of the bottom. If it does, slowly pour about two litres of warm, clean water in each drain pan inside the HRV to make sure it is flowing freely. If there’s a backup, clean the drain. Step 6: Clean grilles and inspect the ductwork. 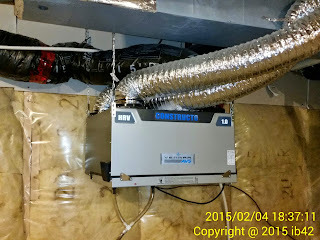 IB42 Home Inspections and Kanata Home Watch. Call Barry at 613 799 3698 to make an appointment today - see our online prices. 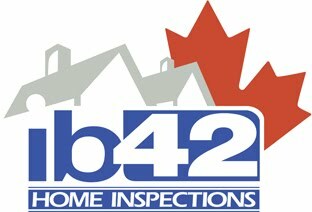 Inspected by 42 Ottawa Home Inspections (2014). Simple theme. Powered by Blogger.